Your home is extremely cold during the winter months. Without any preparation, you could end up paying more money on your energy bills, or in certain situations could even find your home becoming damaged due to the harsh elements. This is why it is so crucial and important to prepare your home for winter. It’s important that you take pride in your property, and this might involve going to extra lengths to ensure that it is kept in good condition throughout the winter elements. We are approaching the time of year when the weather can have the most negative and lasting effects on your home. This is because coldness, heavy rains, strong winds, ice and snow can all damage the exterior of your home. If you do not take the correct precautions, they can even manage to damage elements inside your home without you even realising. The weather, although it has no way into your home, can still infect components inside your home. Which is why it is so important to ensure that you have taken precautionary methods to prepare your home for winter weather. So if you are wondering how you can make your property more prepared for the winter weather, then keep reading! We have devised some steps that you can take in order to prepare your house both internally and externally. One of the most crucial things through the winter is that you have sufficient central heating. Heating through the winter months is a necessity, and without it, you will be extremely uncomfortable and even in danger. Unfortunately, you hear the stories in the news of elderly people who do not necessarily have the ability to contact someone, tragically freezing to death. Which is why we would just like to remind you that if you have any elderly, or ill friends or family members, that you check in with them frequently throughout the winter, or even arrange a boiler service for them. Also be sure to remember that you book in for a boiler service in your own home. A boiler on the blink is hugely irritating and can prevent you from having any access to hot water, or central heating that are both needed daily during the winter weather. If you lose access to either of these, then be sure to contact an emergency plumber immediately, as boiler breakdowns can cause a gas leak. It is easier than you’d think for winter weather to cause issues inside your property. As pipes and guttering are outside, either hidden or elevated at the top of your house on the roof, they’re typically forgotten and slip your mind. Your guttering and draining systems are responsible for all of your excess property water and rainwater draining from your home. Birds and small rodents that may regularly use these for travelling purposes, may see your guttering or draining system as a fantastic place to settle down for a while. As well as this, if you live in an area with a lot of greenery, your gutters clog up with leaves and moss faster than you think. Just like a pop blockage, the same applies to your guttering. Your gutters need to stay unblocked to function efficiently, and if they’re not then the build-up of pressure and debris can cause a pipe leak or severe cracking. If this happens in your guttering at the top of your home, this can leak onto your roof and seep through. This can then work as a catalyst for the growth of mould, damp and mildew. Not only is mould very visually unappealing, but it is also exceptionally bad for your health, and can trigger allergy-like reactions and even respiratory issues. Have professional guttering and locate if there’s any damage. Just as you wear a coat, hat, scarf and gloves to keep warm during the winter, you should insulate your home for the same purpose. If you think that your energy bills are incredibly high and that your home is never thoroughly heated, your home may not be efficiently insulated. As heat rises, it’s important that you insulate your loft correctly. If all of the heat being given out into your house is rising up to the highest point of your home, and your loft isn’t insulated properly, you can lose copious amounts of home heat through the loft. There are other ways that you can insulate your home; this is through double glazing and cavity wall insulation. Older homes typically have single paned wooden windows, which aren’t ideal for insulation purposes. Replace these with double glazed windows, which are incredibly effective at keeping heat in your residence. Cavity wall insulation works as another layer that keeps heat in, and prevents heat from leaving through your home’s thin walls. As we previously mentioned, the effects of the weather can damage things that can affect the inside of your house. You external home pipes that link to your boiler and other components of your house can become frozen up during the freezing weather. As water is continuously running through the pipeworks, if the freezing cold reaches them then there is a very high chance of the water becoming frozen up in the pipes. In order to avoid this, you should fit your pipes with pipe insulation. If this happens, this can cause a crack or break in the pipework due to the pressure of the blockage. This can cause water damage to your home, as the water can seep into your home. Water damage works extremely fast and can have devastating effects when left. If you feel as if you have a pipe leak, or see any random puddles of water in your home, contact a plumber immediately. 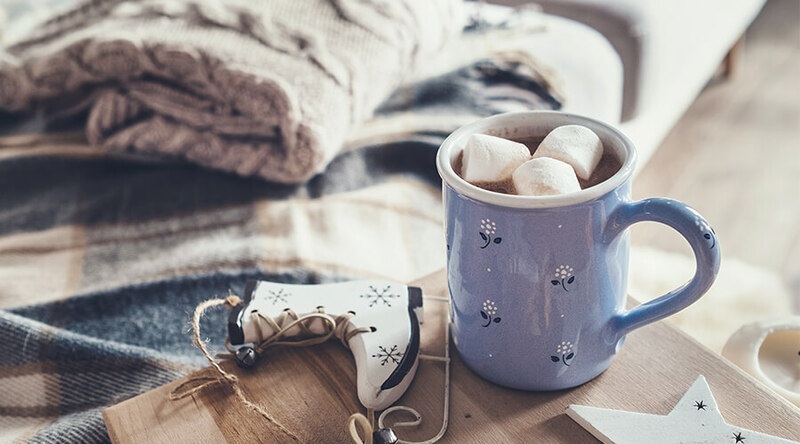 Using these top tips, you can successfully prepare your house for the winter weather, and get into the swing of the festive season! For any information on our project management services Buckingham, please contact our builders Towcester today.